Gregor Benton is emeritus professor of Chinese history at Cardiff University. 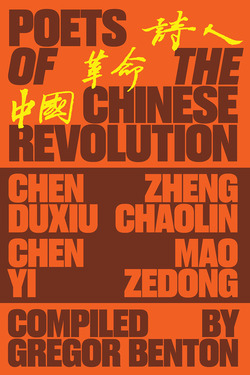 He has published many books on China and other subjects. His principal research areas are modern Chinese history, dissent under communism, and Chinese diaspora. His Mountain Fires: The Red Army's Three-Year War in South China, 1934–1938 won several awards, including the Association of Asian Studies’ prize for the Best Book on Modern China. His translation of Mei Zhi’s F: Hu Feng’s Prison Years won the English Pen Award. by Chen Duxiu, Chen Yi, et al.